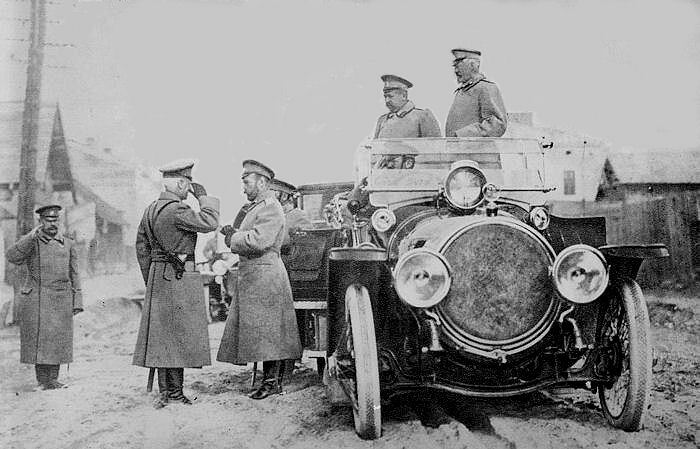 Russian Czar Nicholas II at the Front along with the six-foot-six tall Russian Army Commander-in-Chief Grand Duke Nicholas (standing in car) and Count Dobrinsky. Although the Czar had no military aptitude, he relieved the Grand Duke in September 1915 and took personal command of the world's largest army, with 16 million men mobilized--an army sprawled across the gigantic Eastern Front. The Czar's preoccupation with military matters and his extended absence from the home front led to a worsening of Russia's internal political situation, weakening his power and helping to pave the way for revolution. 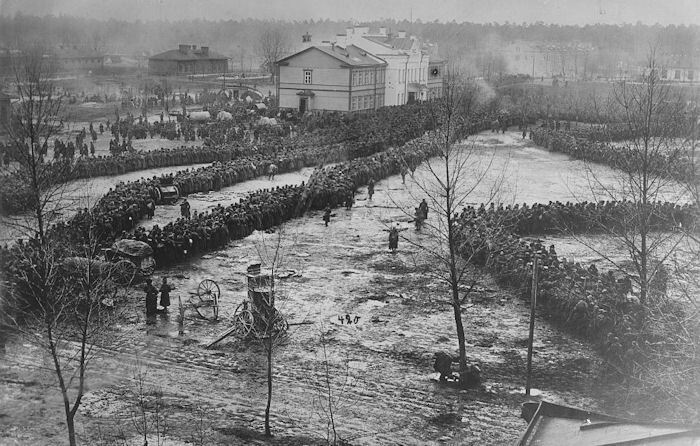 Below: A sign of the declining fortunes of the Czar's army--15,000 Russian prisoners in German hands at Augustow.